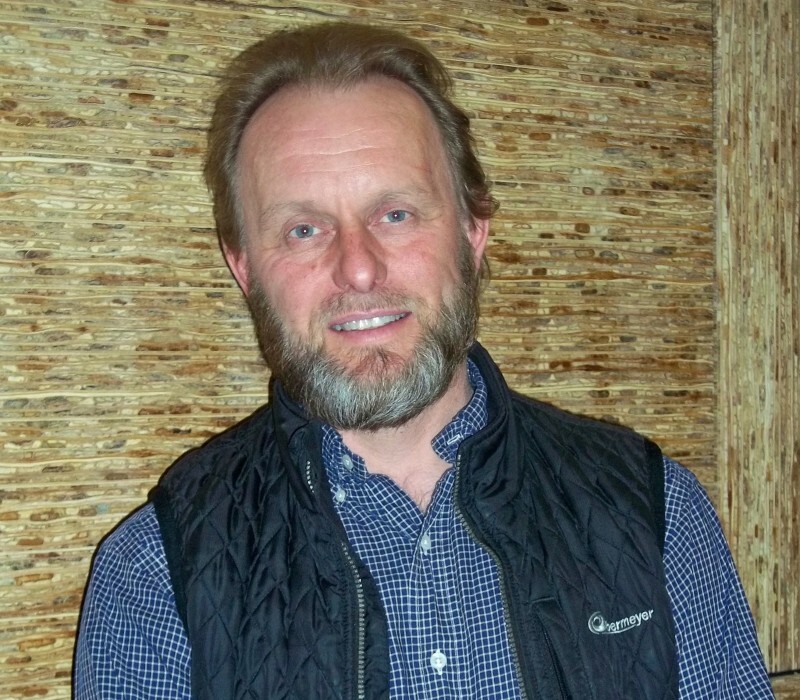 When Snowmass Village Town Councilman Chris Jacobson feels he's right, he won't back down. And that has made him controversial. SNOWMASS VILLAGE — Looking more grandfather than Grand Inquisitor in his sensible cardigan and dark-framed glasses, Gary Rosenau is a regular these days at Snowmass Village Town Council meetings. A local resident for more than a half-century, Rosenau was instrumental in Snowmass Village’s incorporation and commands quiet respect among most residents as a World War II veteran, retired businessman and trusted town elder. The exchange capped a tumultuous winter for Jacobson, whose unfiltered views have put him at odds with the town establishment, prompted the recall talk and cast Jacobson as an obstructionist. With bluster reminiscent of Jack Hatfield — before he was a Pitkin County commissioner — and Steve Crockett while on Aspen City Council, Jacobson’s open-mouth policy seems the polar opposite to the controlled and on-point message maintained by his spouse, Heidi Zuckerman Jacobson, executive director of the Aspen Art Museum. That’s true. In 2014, the Town Council has met eight times for official business (minutes and voting records are currently available for six of those meetings). The council voted unanimously on many issues, ranging from housing upgrades, grant disbursements and board appointments to a bellwether question: classification of Related Colorado’s changes to its Base Village project. What’s also true is that Jacobson, in each and every Town Council meeting this year, has hammered on the town manager’s contract issue, consistently asking for a vote and receiving the same split decision. Only Jason Haber — who often votes with Jacobson — supported the minority view, while Fred Kucker, Markey Butler and Mayor Bill Boineau voted as the majority bloc. Constant wrangling over whether to reopen the application process for new town manager candidates has dominated the council’s time to the extent that four executive sessions related to the issue have been called during the eight official meetings of 2014. “Work together, not against each other,” Gary Rosenau scolded the entire council, decrying the lack of progress, vision and consensus he sees by a group that can’t get off the dime. While it’s been whispered lately that the town manager issue may be on the road to settlement, the label of a do-nothing council has started to catch on. Is Jacobson, who has taken most of the heat over the town manager issue, a hard-working but misunderstood public servant or an ego-driven curmudgeon who is hell-bent on ousting Suiter and his $207,000 consulting contract? The Ithaca, N.Y., native had theater in his blood at an early age. Acceptance into the New York University Drama program saw him gravitating toward experimental theater projects. Opportunities in San Francisco took him and his wife to the left coast, where Jacobson earned what he likes to call the “First Green MBA in the U.S.” from the New College of California. The couple, who have two children, moved to Snowmass Village eight years ago. Aspen Journalism recently sat down in Town Hall with the controversial, chatty councilman for a three-hour interview. What follows is an edited version of that wide-ranging conversation. 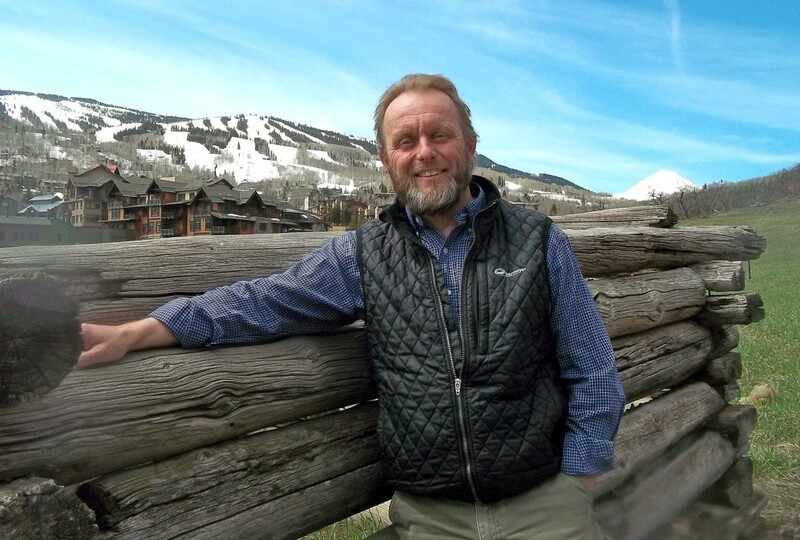 His tenure may have been defined by wrangling about the town manager's contract, but Jacobson says Snowmass Village's green building commercial code has been his most important contribution. It’s been a rocky year-and-a-half for you, Chris, since taking office in December 2012. Did you anticipate it would be this tough? “I did not anticipate it would be so nutty, twisted or crazy. I was very surprised in the first several months by the personal attacks that seemed absolutely illogical and irrational. Someone said I had too much time on my hands! Are you saying you’d like a council person who works less? Do you feel like you’ve been vilified either in the press or the public by your colleagues? “I didn’t mind being the catalyst for change but a lot of bitter infighting with (former Town Manager) Russ Forrest came before me. I think my colleagues assumed that Jason and I were great friends and hatched this plot (to get rid of Forrest). Can the current council move past the conflict? “Based on the assertions of the majority, I don’t see how it’s going to be all that productive. The strategy of the majority appears to be one that they have chosen to be in a stalemate until an election in a lame-duck kind of fashion. “Are we going to get past this, yes. Sooner or later, people are going to get tired or die. Is your problem more with Town Manager Gary Suiter and his style of management or with the structure of his contract? “Gary and the majority have created a circumstance in which he has become more of the problem than he was as an independent candidate. His basic credentials, qualifications, leave things to be desired. In one meeting, I said a style of governance leads to a certain phenomenon, where you’re allowing the majority to coddle, cajole and manipulate you. “There’s the constant misclassification by the mayor that (Suiter) is the interim. In his first consulting contract he was paid $14,000 a month. In the current contract, even though it’s a consulting contract, his title is town manager and he is paid $17,250 per month. We are constantly switching nomenclature in the public discussion. How hard is it to govern when there are rumors swirling of a recall and do you believe this is a disingenuous effort? “If I really think I’m right, then it gets to a higher order and affects me less. I’ve done a fair amount of theater. It’s torture, there’s the strange duality of sensitivity and insecurity. In terms of it, (the recall talk) hasn’t really bothered me very much. At first I looked at it as ‘what are my pros and cons?’ The worst case is I don’t have to go to council anymore. The best-case scenario is I’m vindicated. “It probably won’t go to a recall anyway. I feel often in a small community that people start talking like that to see if they can communicate in a subterranean way … I don’t have anything to lose because I’m not attached to any particular wins or losses. I’m not trying to get a job with Skico or Related. Next fall, if Jason Haber decides either not to run again or doesn’t get reelected, will that change your approach at all? “Jason and I don’t agree on everything. We’ve gotten to know each other much better during the period we’ve been on Town Council. I really think the only way I knew him was through the (town’s) Environmental Advisory Committee. What is the most positive change you’ve been able to make so far? “I think the most positive change is the passing of the green building commercial code. I felt like I pushed for it and made the arguments, though it was very uncomfortable with interactions between (chief building official) Mark Kittle, and me, doing what I see as my job. 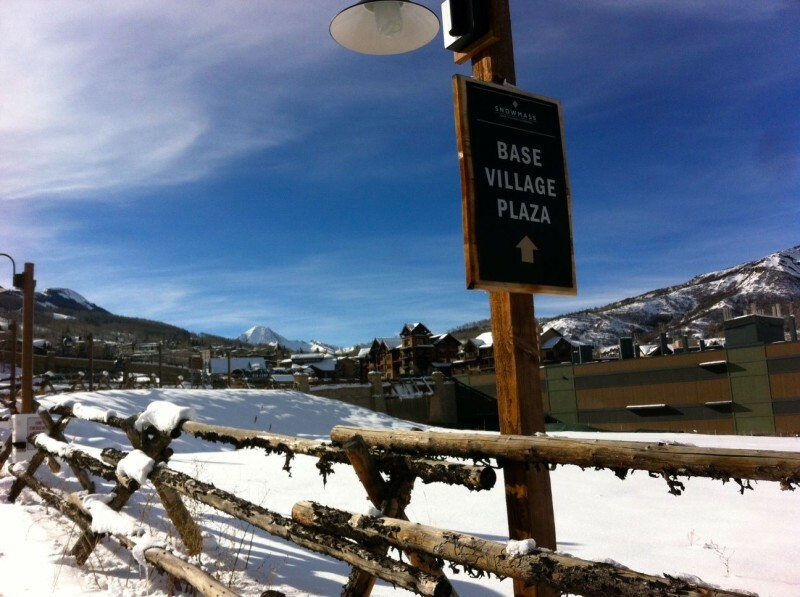 The future of Base Village continues to be top-of-mind among Snowmass Village Town Council members, including Chris Jacobson. The first of several public meetings between the developer and town officials is set for Tuesday, May 20, from 6-8 p.m. in Town Council chambers. Aspen Skiing Co. seems to be retrenching with the withdrawal of the Limelight application and now the Fanny Hill Townhomes proposal. Does that concern you? “I think Skico is a highly intelligent company that rarely rushes (decisions). If they believe in something then they will pursue it at a pace that works and is doable for them. They are incredibly strategic. “The real question I had about the Limelight was how it was going to function within the community. In the meeting, I asked Mike (Kaplan), ‘can you give us an idea about what your operation is going to be like? When are you guys going to be open.’ That’s a problem with this town … I’d like to have a choice of more than one restaurant (in the offseason). Do you believe that Related has a reasonable or inordinate amount of influence over this small town? What advice would you offer to President Dwayne Romero if asked? “The problem with the Village Market discussion, from a democratic or political level, because the discussion wasn’t noticed in advance, the real cogent questions were not asked (of Tom Clark, whose Clark’s Market has replaced Village Market, a 35-year Snowmass business). “Are you trying to foster economic vitality that has multi seasons and supports the community, both permanent and second homeowners (as well as) tourists? Or is your business development model one that relies solely on a captive audience? Your store in Aspen is phenomenally overpriced. Is that what you plan to do here? This is an economic development issue. What is the business model being sought? What are your hours of operation? “One of the questions I’ll have for Dwayne is, how are you going to produce the pedestrian-friendly Snowmass Village that we all want? “I think Base Village is the town’s never-ending excuse. It’s the thing that we have the least control over but we spend all of our time focusing on what we can’t do. In the meantime we have Town Park, the Rec Center and business development partnerships that we’d like to render. My suggestion to Dwayne is (Related) should ask — as opposed to meeting individually with people — and be requesting and demanding work sessions (with council members).